Here at Glendale, we look to put the customers first. One drawback of having an alarm fitted is having to allow access for an engineer, in some cases this is not practical due to varying lines of work. We are launching two DIY systems for people who are looking for more flexibility with their Home or Business security. We have notice the rise in D-I-Y CCTV and Intruder Alarms, and we decided it was time to get involved and expand our services even further. 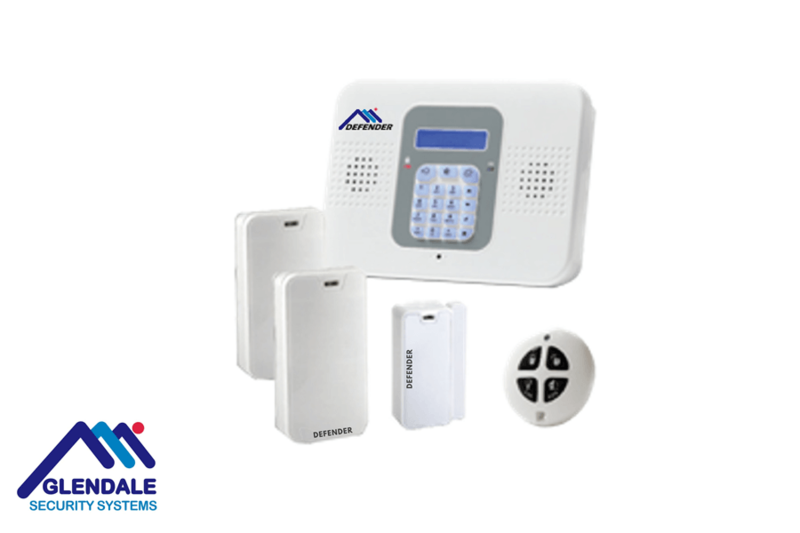 The Glendale Defender is a wireless intruder alarm that can be installed by the buyer, into a house or a business. The alarm comes with Wi-Fi and GSM Capabilities, alerting you of an activation straight to your mobile. This alarm can easily be installed by yourself, coming pre-programmed and with a Glendale bell box for outside your house. All you need to do is activate the detectors and put them up – quick and simple. We can offer engineer assistance on the system if when buying you opt for a maintenance package on the alarm. This will be £12.50 per month, with an engineer visit once the system has been installed to ensure compliance with any insurance requirements. We will include one annual maintenance check per year, and unlimited access to our 24-hour help line if you have any troubles. If the troubles cannot be resolved over the phone, you will be covered for call outs, labour and parts required to ensure your protection. 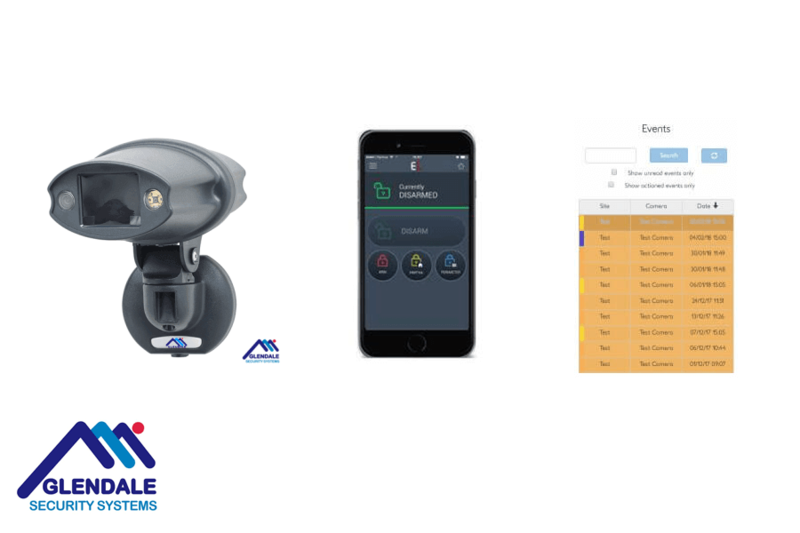 Alternatively, this system can be monitored to an ARC to alert you and selected key holders of an activation. This is a monthly cost of £30.00 and will fully cover you for 1 services per year, any parts and labour and also a 24hr free call out service. This cover only excludes damage caused due to negligence or accidental, batteries are not covered due to being perishable. Please note: this system cannot be policed. If you are just looking to buy system without the maintenance, we will still provide technical help between 9am and 5pm weekdays. If there any problems in setting up, our engineers can assist you at the standard call out charges. This system costs £225.00 to buy, with a deliver charge of £16.18 approximately. With the demand for CCTV systems getting higher and higher, we have sourced a great new piece of technology that doesn’t require even a quarter of the equipment for a full CCTV system. The new wireless camera can be installed in remote environments to stop unauthorized access to restricted areas. No power is needed on site due to the battery installed within the camera, providing you with piece of mind for the areas you may have struggled to protect before. The camera will alert you to an activation through a push notification on your mobile, with only a demand for a mobile network signal. Upon activation, a 14-second-long video of the view will be taken to identify the unauthorized personnel. We have trialled the camera in a Defibrillator unit, being able to view when the lifesaving equipment has been removed. The practicalities for this unit are endless, and we hope to explore some of these and assist you along the way. The camera can also be adapted and used as a Home Security Camera System, connecting it to a back gate and to activate in the event of an unauthorized activation. This can bet set up through an arming period where the camera will be set, this will eliminate any false activation’s when you are perhaps coming in and out throughout the day. The camera will cost £550.00 to buy, with a deliver charge of £16.18 approximately. With the camera being connected to the cloud, there will be a monthly charge for the data packaged you have selected. The packages start at £7.50 and will alter dependent on the data usage of the camera.